Despite periods of unrest and uncertainty, Fraternity and Society Life at Minnesota State Mankato continues to evolve and preserve values as new generations take the baton. To propel the Greek community and their initiatives into the future, members are resurrecting traditions from the past. Mavathon, a fun-filled day of dance, games and food, was revived in 2011 after an 8-year hiatus and has been held annually ever since raising over $100,000 in charity for Gillette Children’s Specialty Healthcare. This year was state record-breaking with around $30,000 raised. Charity events like Mavathon have been crucial to Greek societies’ success and purpose. The 50-year anniversary of Greek life at MSU was monumental because it showed that persistence in fellowship and camaraderie can keep a dream alive even through a rough patch. With the majority of young people in the 1960s and ’70s opposed to the Vietnam War, a wall was built between some of the nation’s youth and their pro-war elders. Political movements and disagreement between students and administration during the 1970s nearly brought an end to MSU’s Greek Life as we know it today. Club members weren’t displaying their letters and mostly operated behind the scenes. With time things began to recuperate and the growth is still ongoing. On its 50th birthday in 2011, the Greek community reached 400 members for the first time with help from John Bulcock, assistant director of Student Activities for Greek Life and Off-Campus Housing. His contribution has helped to boost community size and enthusiasm with members and non-members. Bulcock’s success in growing Greek interest parallels one of his predecessors—Marie Bruce. 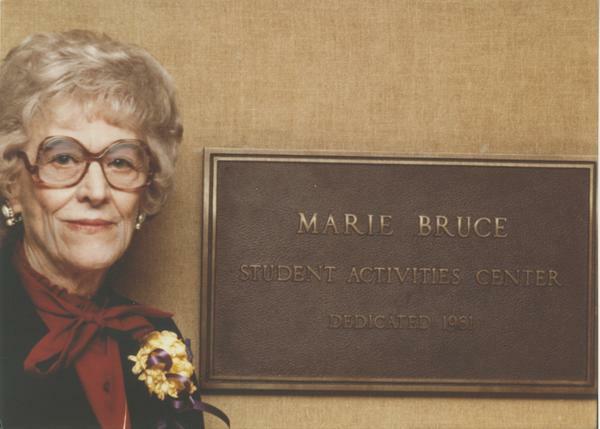 Bruce, “The First Lady of Mankato State,” acted as the main driving force behind Greek development and pride at MSU. As Dean of Women, she worked to gain accreditation from the American Association of University Women and established a strong interest in Greek life on campus with help from Dr. Margaret Preska and Dr. Clarence Crawford. Bruce’s vision for a more cohesive campus and Alpha Beta Mu’s determination to be recognized as an accredited entity paved the road for a total of 10 nationally recognized fraternities and sororities at MSU today. Tens of thousands of Mankato brothers and sisters have had the opportunity to develop leadership, friendship, scholarship and service skills with help from their peers and alums.